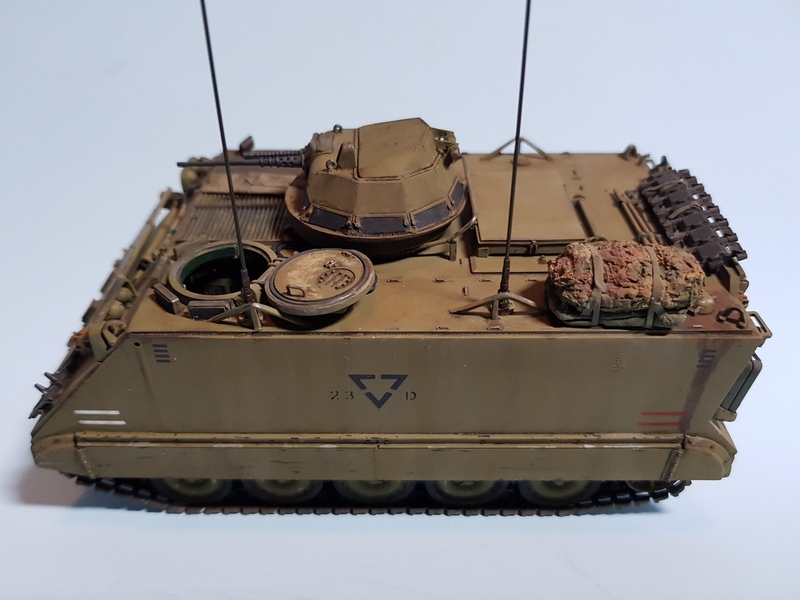 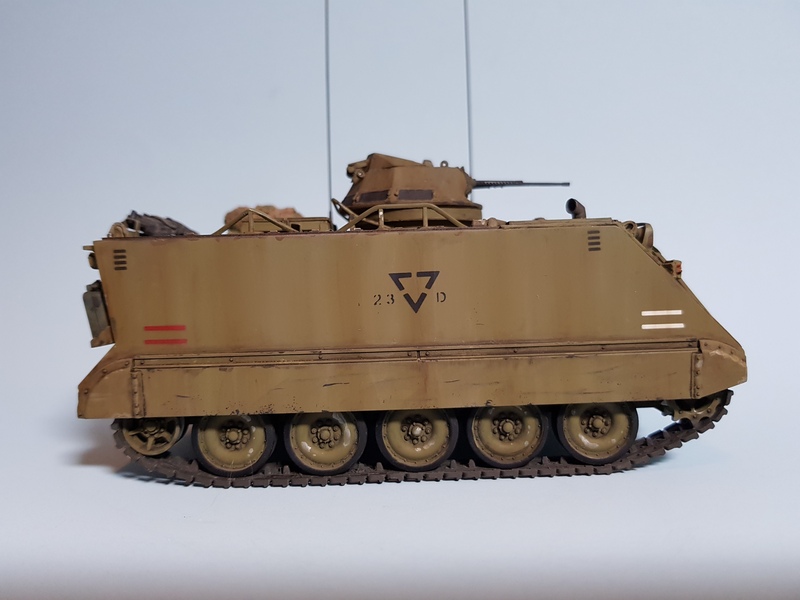 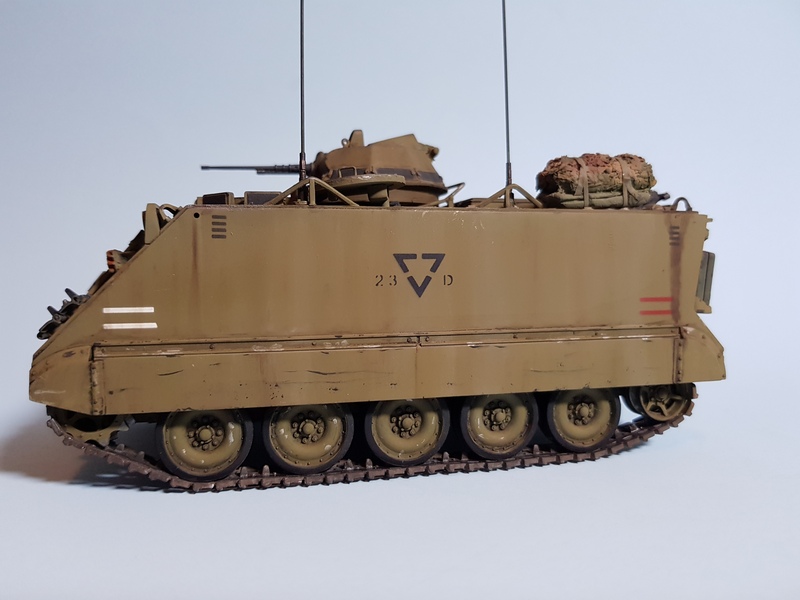 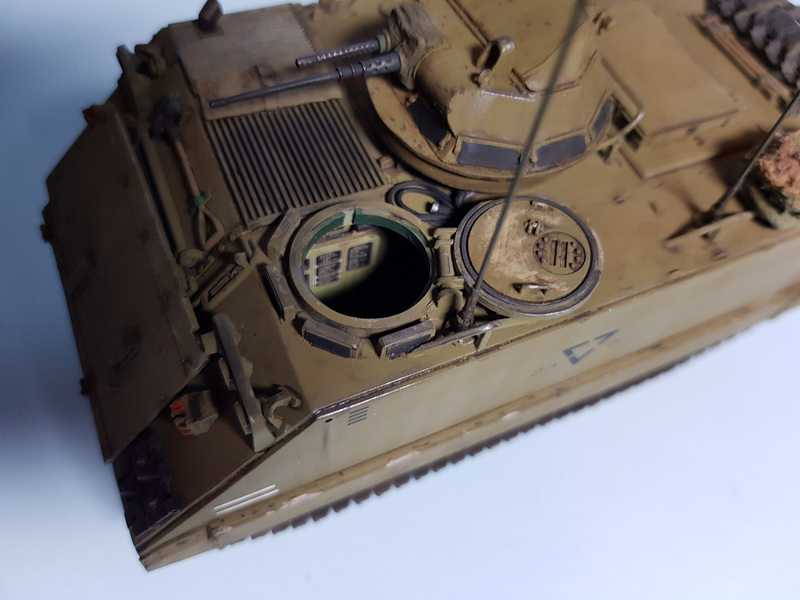 This LRV was made using the Tamiya M113 kit as the base vehicle...I have used the Mouse House solid T50 turret, Trim Vane and Cargo hatch with air filter box (MA 106), the Carbon fibre Antennae with AMU (MA 108) and the old indicators and tow hook set (MA308). 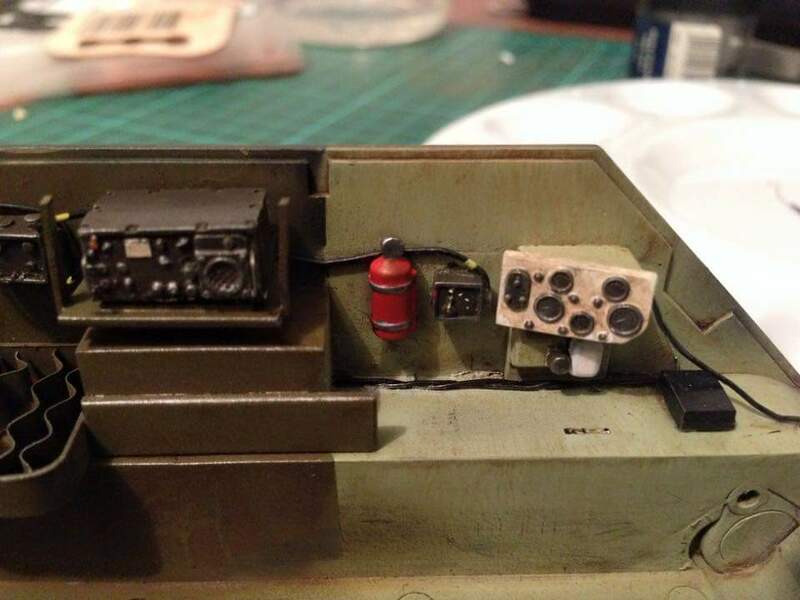 The kit was then painted in Tamiya Khaki XF 49, then filter washed with various oil paint. 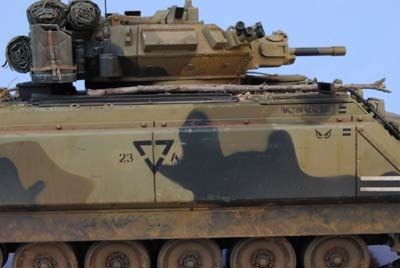 All the tactical signs were sprayed on using the Mouse House, 2 Cavalry Regiment PE stencils, except the ARN, which I printed onto decal film. 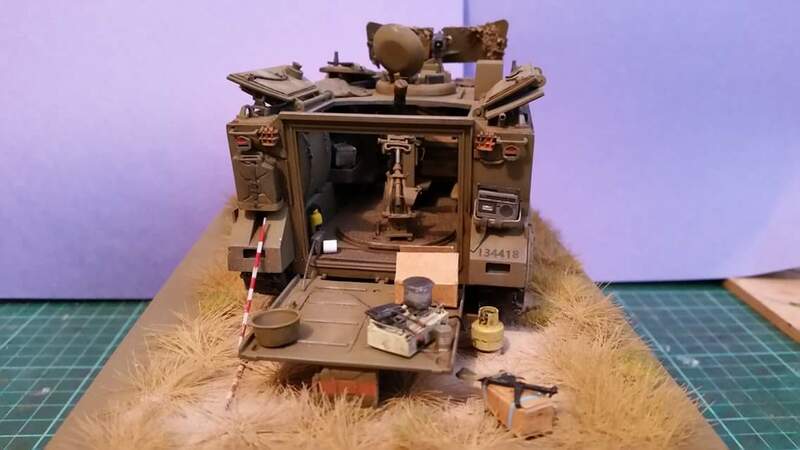 This particular kit has been built for a mate I served with in the 80s. 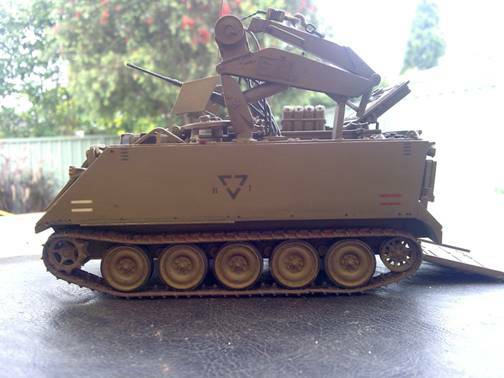 He is now in his 35th year serving the Australian Army. 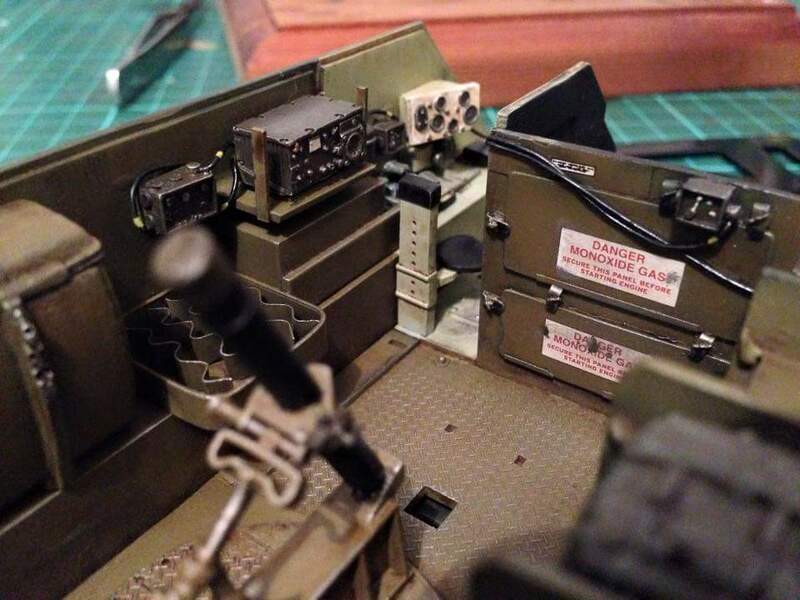 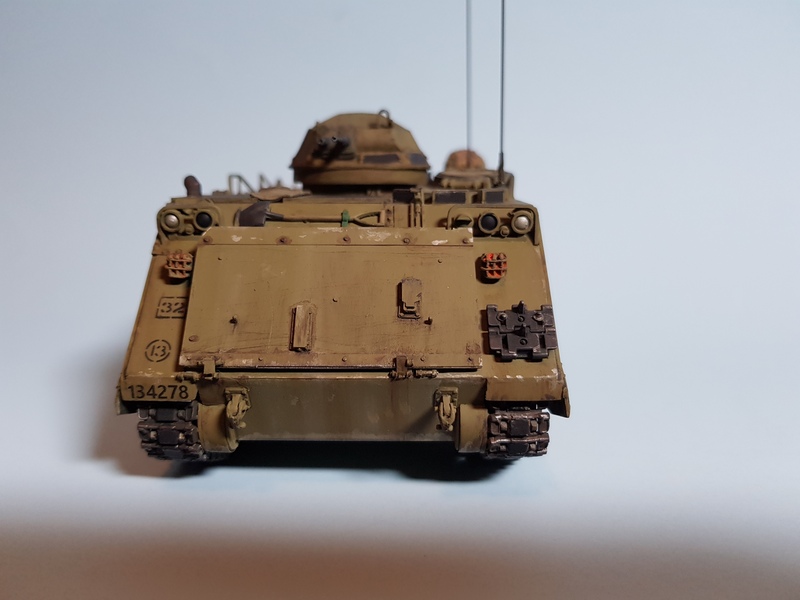 I thought I’d send in a few pics of my recently finished Academy's 1/35 M113A1 (Vietnam) kit. 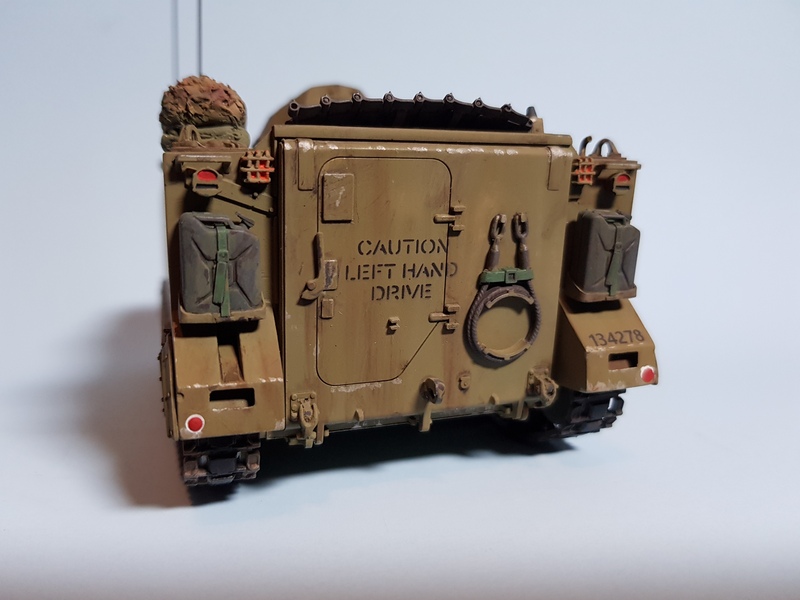 I used Mouse House’s “OD Lustreless” paint, decals, sponson armour, replacement rear cargo hatch and engine mesh. 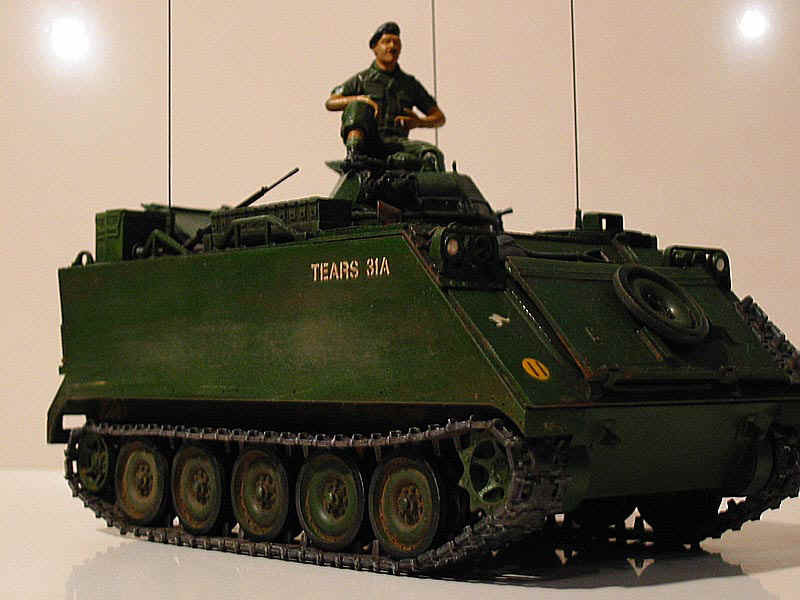 The figures were from Firestorm. 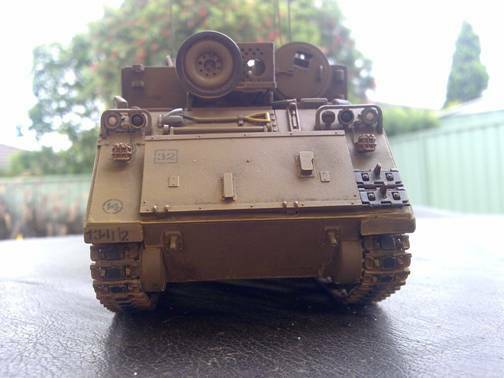 This vehicle was part of a three vehicle troop called 'BLOOD', 'SWEAT' '& TEARS' which were part of A Squadron, 3rd Cavalry Regiment, Royal Australian Armoured Corps. 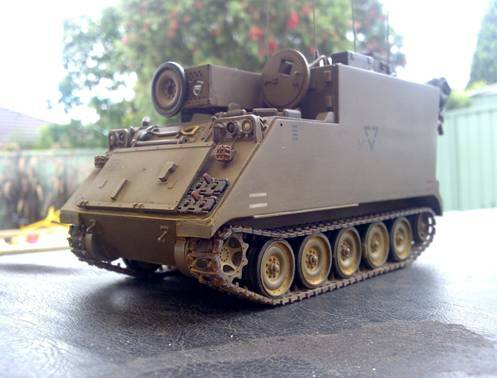 It was equipped with a T50 steel turret and a .50 calibre M2 Browning heavy machine gun. 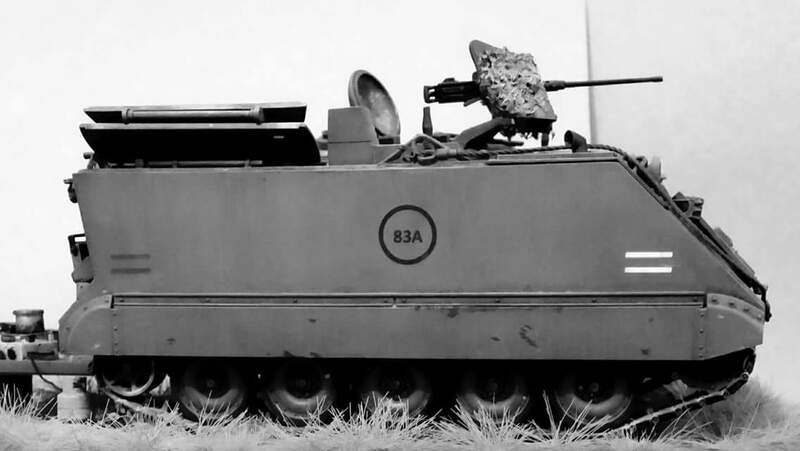 A pintle mounted .30 calibre L3A4 Browning medium machine gun is also fitted to the turret top. 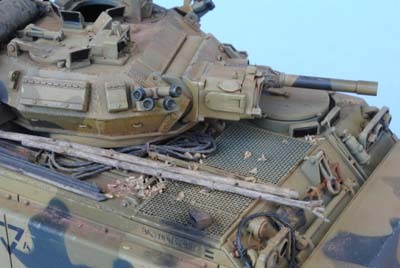 The AFV Club's 1/35 M548 straight out of the box with the canopy laced with sewing thread. 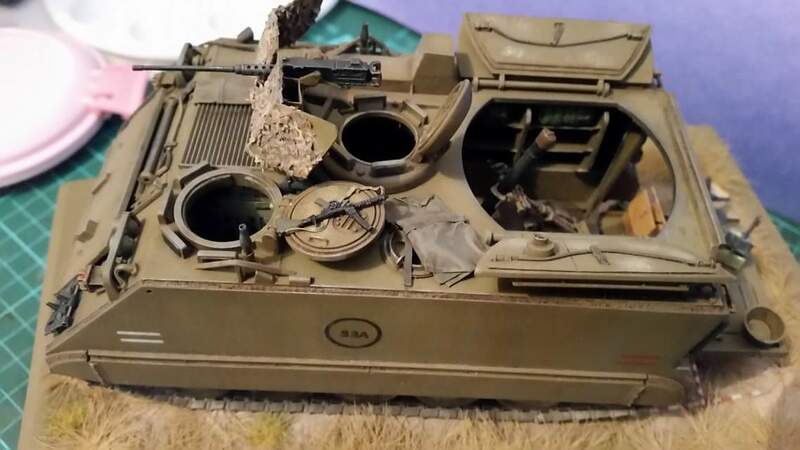 This was built many years ago when it was first released. 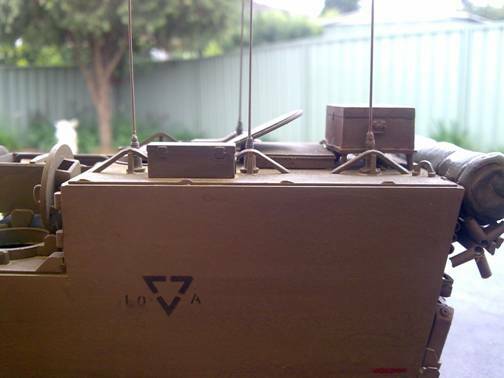 The Academy M578A1 Fitters track with Australian stowage system on the roof. 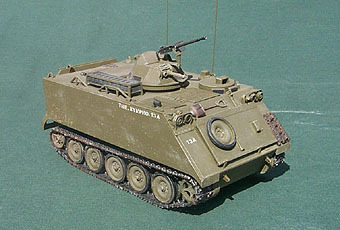 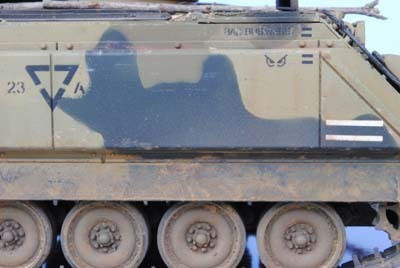 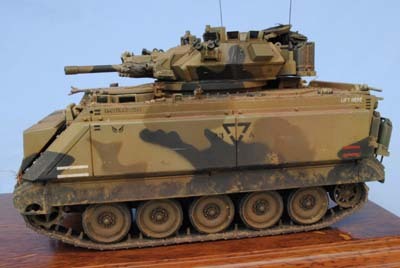 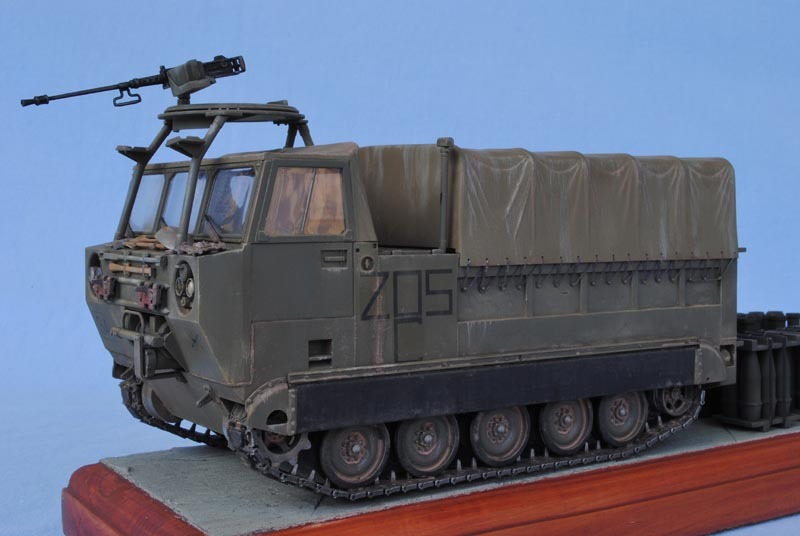 The ACV uses the Tamiya M577 as the base model. 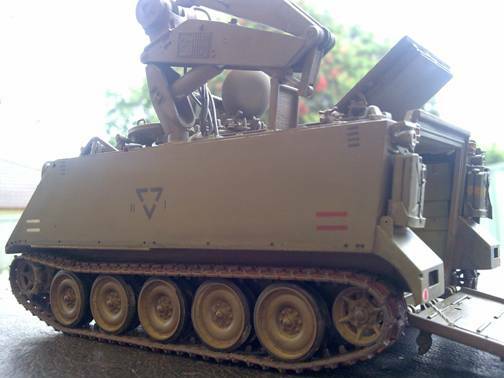 It represents a 1980s ACV from 2nd Cavalry Regiment. 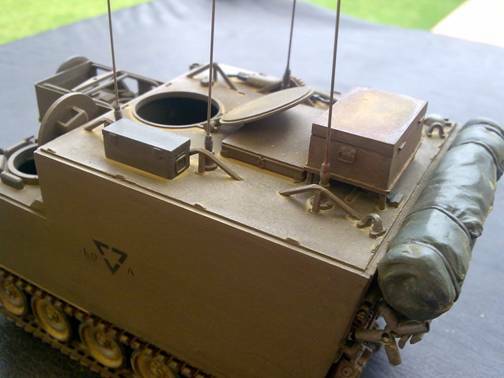 I used Mouse house indicators, jerrycans, jackie boxes and metal trunk as well as the AUSTENCIL for Tactical Signs. 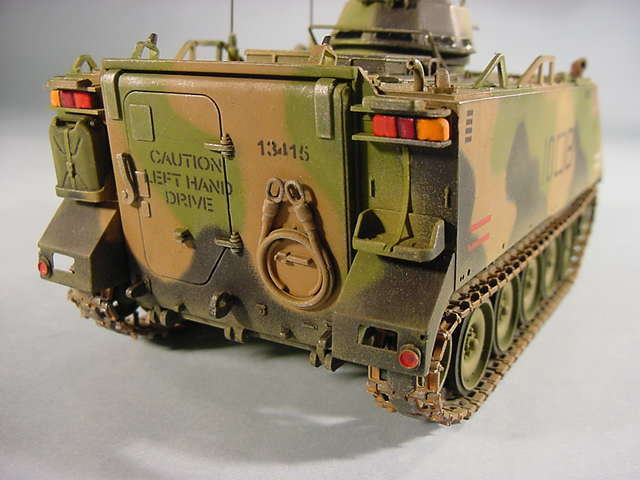 The Vehicle was painted in Tamiya Khaki and was dry brushed with dark oil paints. 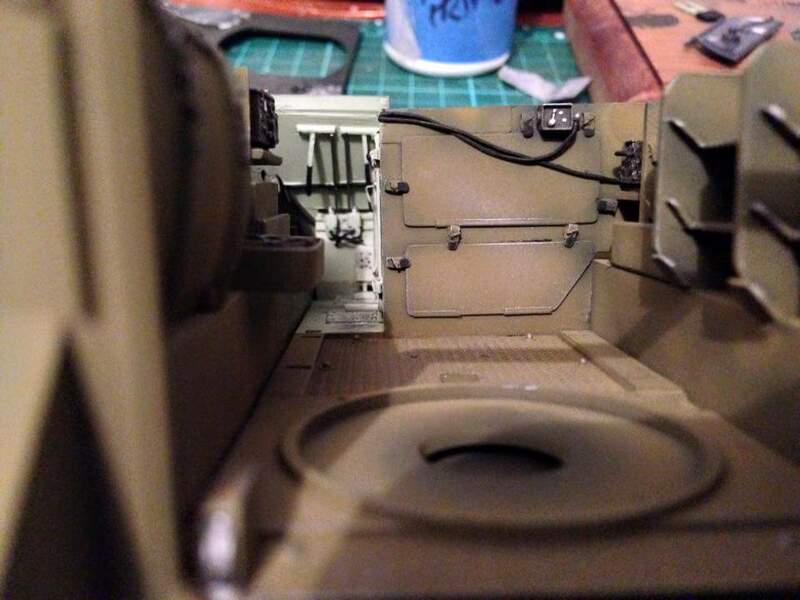 Jeremy has gone to some trouble to include the turret basket for the T50 machine gun turret. 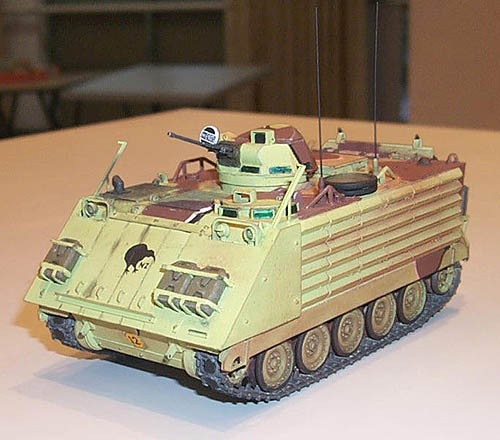 The NZ M113A1 was based on photos published in the Australian magazine called "Australian and NZ Defender". 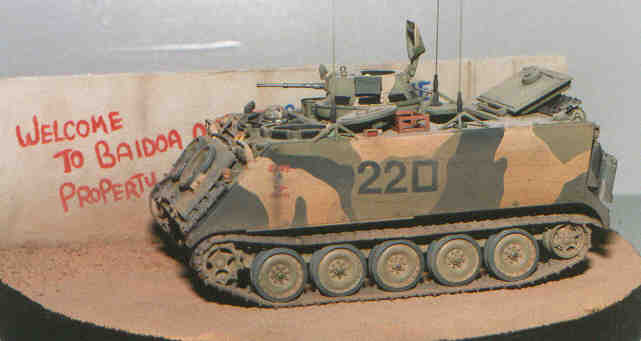 The vehicle is one that served in Timor. 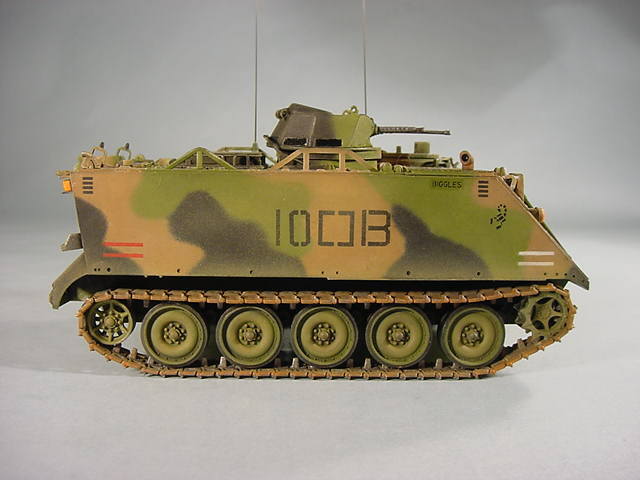 The fitters track represents one that was used by Australian forces in Vietnam. 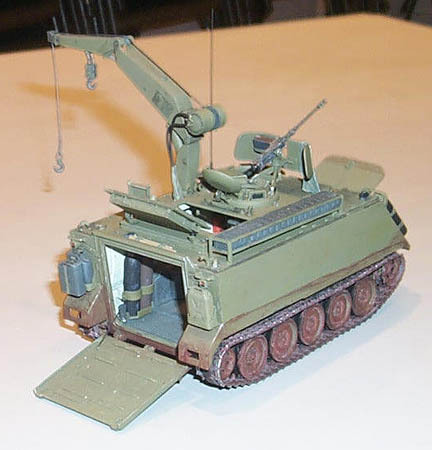 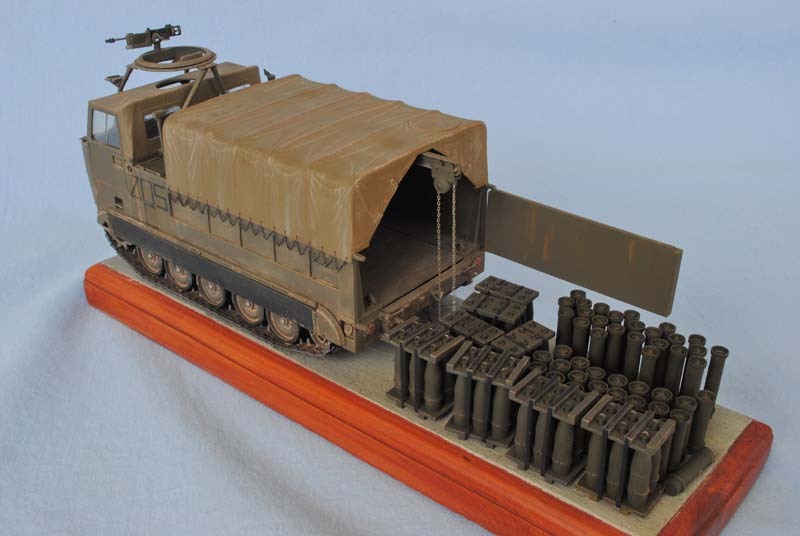 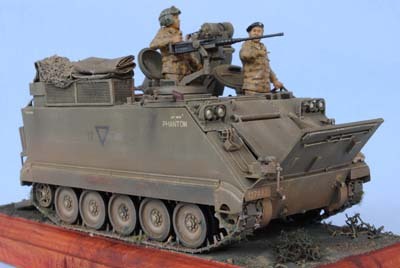 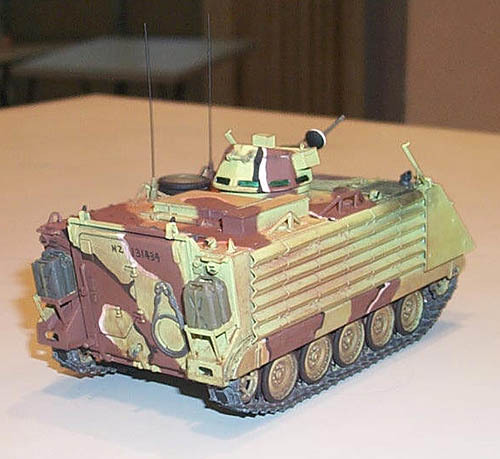 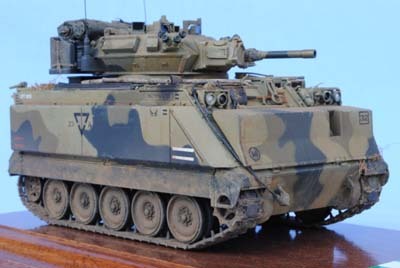 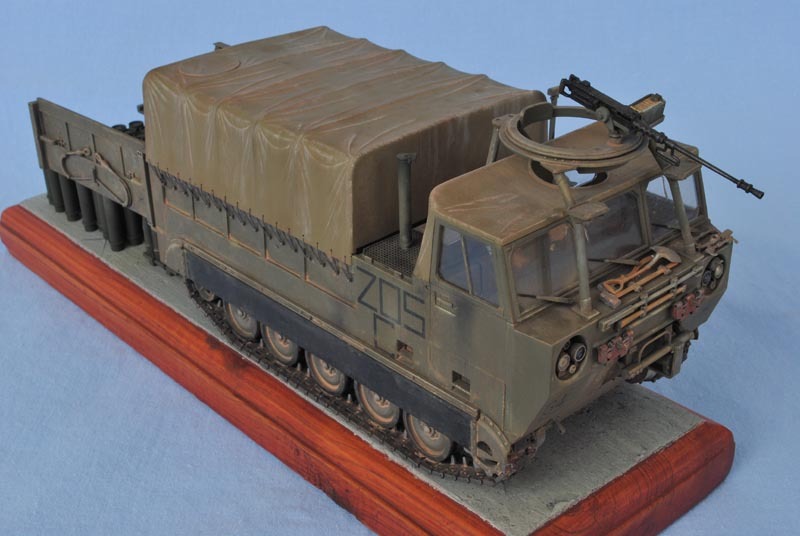 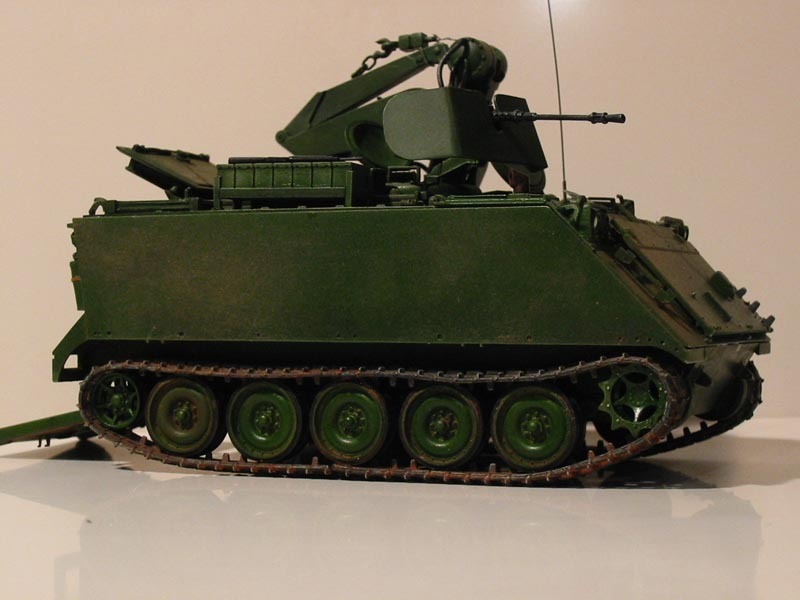 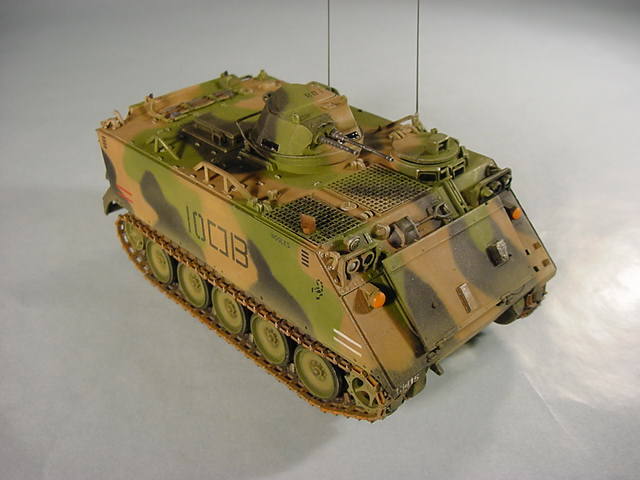 The model represents a M113A1 Light Recce Vehicle armed with twin machine T50 Turret as used by 3/4 Cavalry Regiment in Mogadishu/ Baidoa, Somalia 1993. 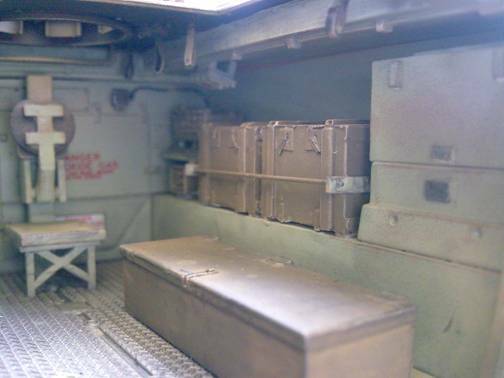 The graffiti on the wall says "Welcome to Baido Airport property of the Strikers". 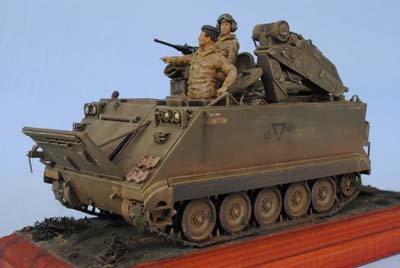 The Strikers were the 1/9th marines. 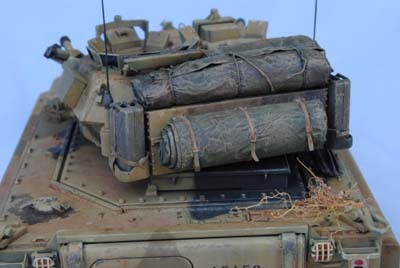 After 1 RARE arrived, the strikers was crossed out and replaced in blue piant by "The Big Blue One". 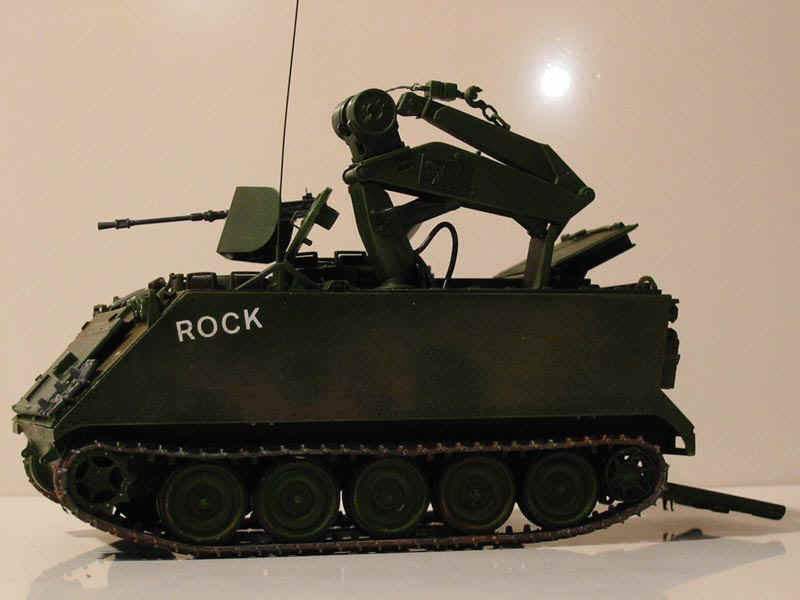 The LRVs vehicle name is Bad Attitude. 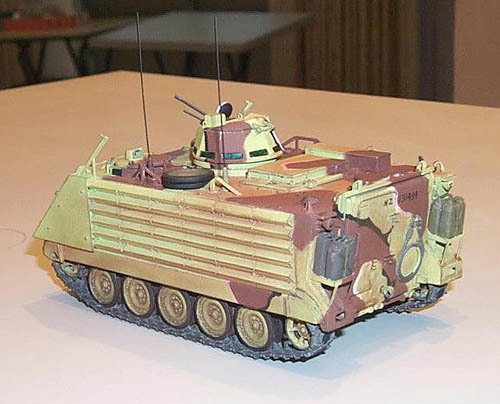 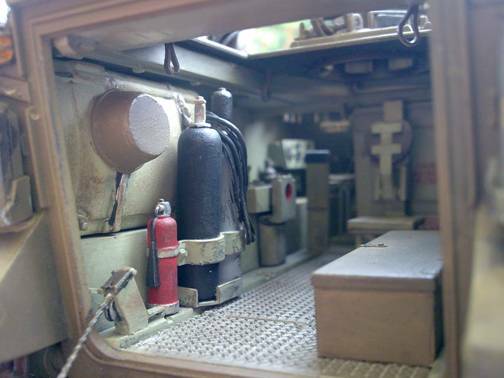 Reference material for this model diorama is from an Australian magazine called "Australian and NZ Defender". 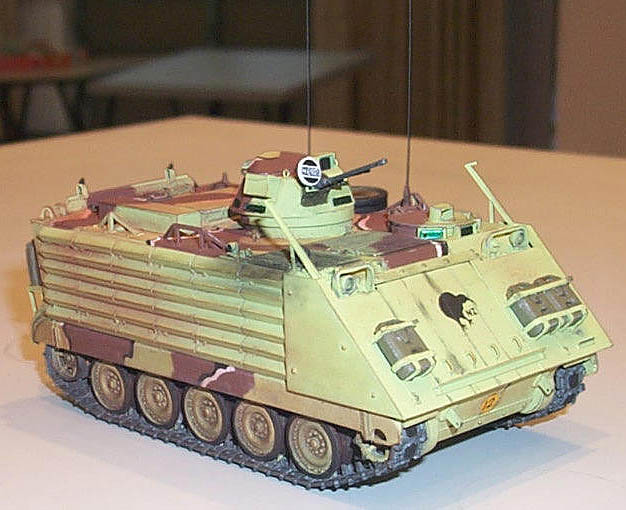 Models of Australian M113s as they were in Vietnam. 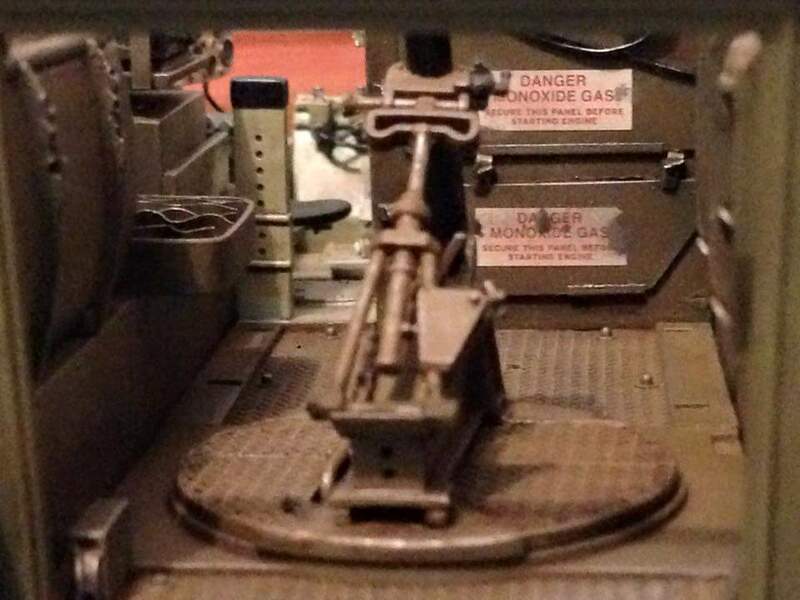 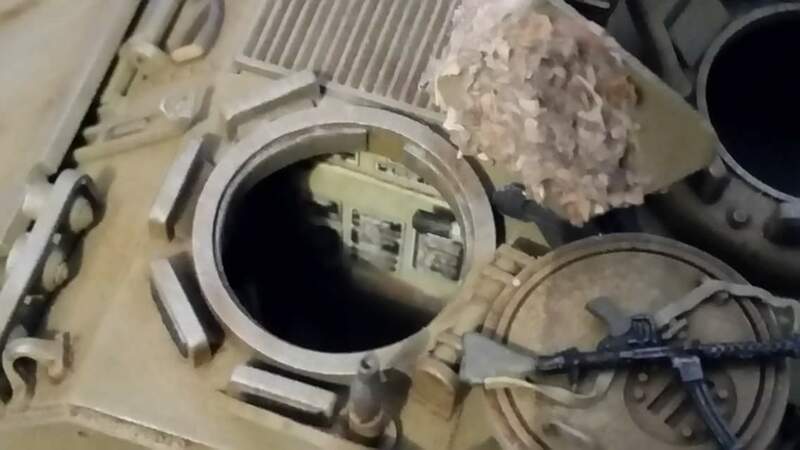 The model shows that one of the turret 30 calibre machine guns was removed and mounted on an angle iron and pipe mount on top of the turret. 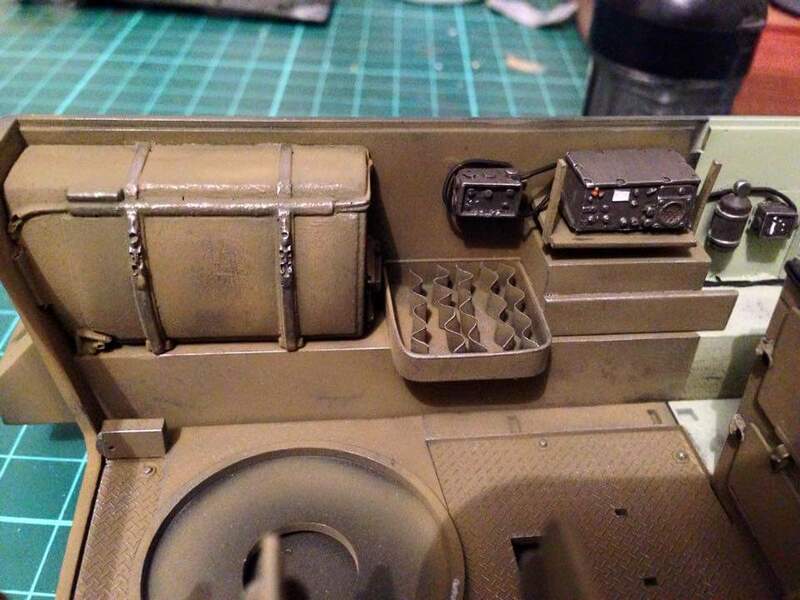 The standard angle iron carry bin for additional 30 cal ammo cans can also be seen. 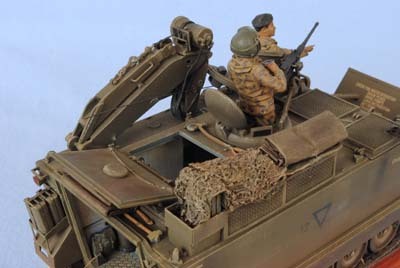 Vehicle names were none too subtle during the war as this vehicle was called "Gook Crusher".